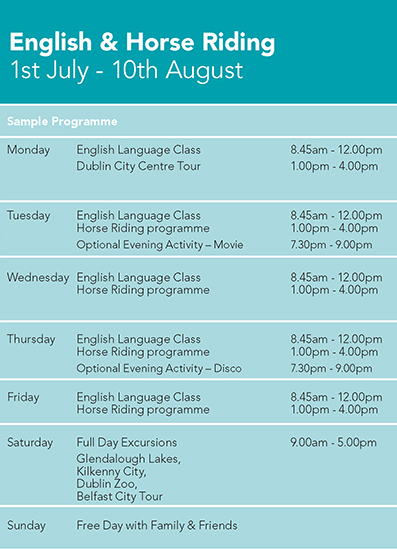 Our Horse Riding and English Language Camp combines 15 hours English Language tuition in the mornings and Horse Riding 4 afternoons per week. Ireland is an Ideal Horse Riding Destination with our reputation for quality horses. 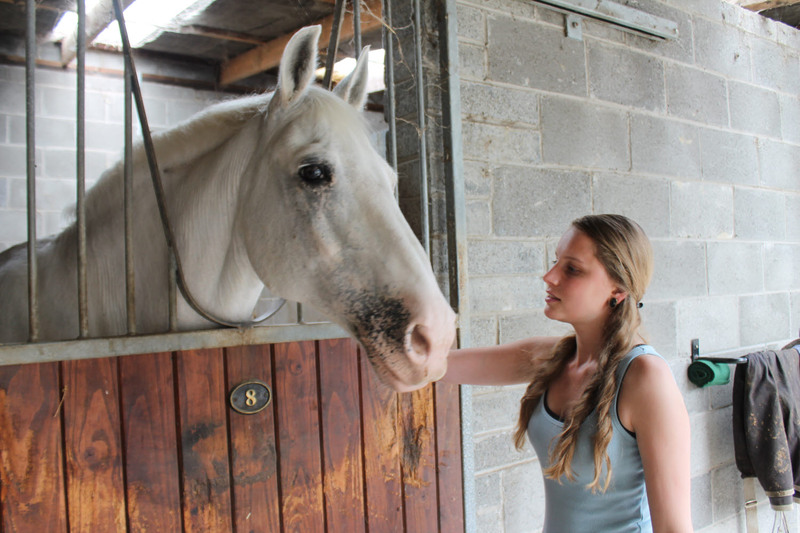 Students have 3 hours in the stables 4 afternoons per week, this is divided into 2 hours stable management and 1 hour horse riding. In addition, students have two trips per week. 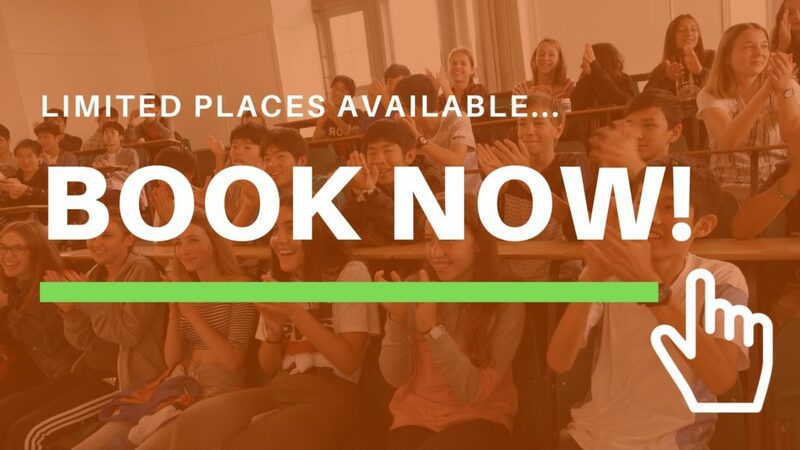 This programme is the ideal way for students to fully immerse themselves in the language by meeting new friends while improving their Riding skills. 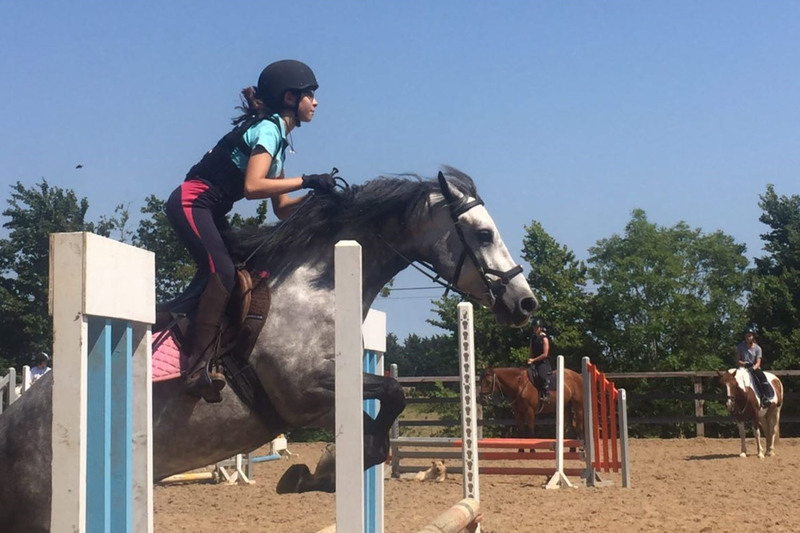 We cater for all abilities of riders and there is one hour of riding under instruction each afternoon and 2 hours of Horse Riding and Stable Management. Horse riding takes place in Monk’s Field Equestrian Centre in a Large Purpose Built New Facility. Participants are divided into groups of 8 and have their own instructor. 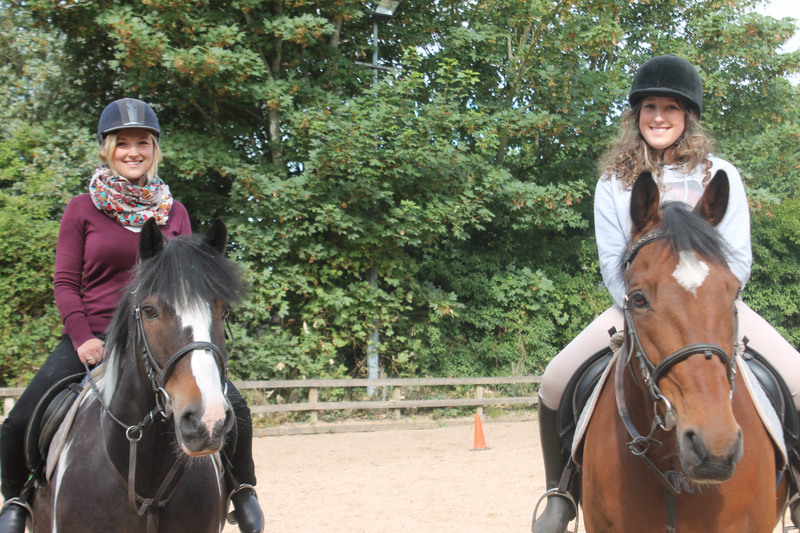 Qualified instruction and suitable horses and ponies for all standards are provided. Riders are encouraged to extend their equine knowledge to include all aspects of horse care and handling. Our English and Horse Riding Junior Programme takes place in Malahide just 25 minutes by train to Dublin City so your students can see the best of Dublin and return to their host family in Portmarnock in the evenings. Portmarnock is the next town to Malahide and within walking distance to our Malahide Community School, which is on the outskirts of Malahide next to Portmarnock. We also operate a 5 min shuttle bus for students not wanting to walk. Portmarnock on a beautiful part of Dublin’s coast line next to Malahide and with a famous beach and panoramic views of Dublin Bay, Ireland’s Eye and Lambay Island. It is an ideal location for students as it is a affluent residential area of Dublin with many amenities. 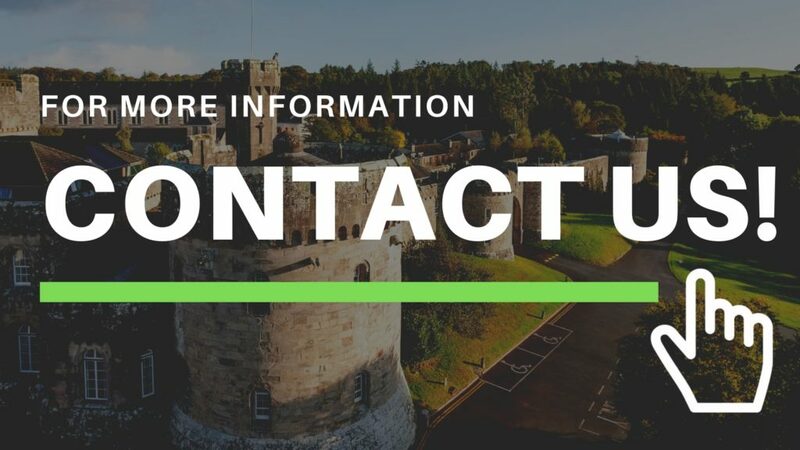 Students and families have 24 hour access to an emergency phone number and a member of our team is always on duty to help.